New features in phones are so fast that they charge the phone battery faster. Never Nowch, V-Display and in the near future The world’s first phone with a battery of 18,000 mAh means that in the near future a phone will appear on the market, which will have 4000 mAh, 5000 mAh full battery of 18,000 mAh. So far, any smartphone that was released in India usually has a 4000 mAh battery and a maximum 5000 mAh battery. But the mobile company Energizer will launch a total of 26 MWC (Mobile World Congress) smartphones to be held this year in 2019, and there will be one smartphone that will have a 18,000 mAh battery. The company has provided its own tweet information. But maybe you have never heard of a mobile Energizer before when it launches a new mobile brand and a 18,000 mAh battery in India or a phone? Let’s find out all this in detail. Energizer will launch all 26 of its phones at the MWC event from February 26 to February 28, 2019 and will release a foldable phone with a 18,000 mAh battery. Currently, there is no exact information about the technical characteristics of the phone, but it is assumed that this will be a phone with a triple camera and a 16 + 5 + 2 megapixel camera, and the ratio of Full HD screen and screen will be approximately 95%, and later on you will not be able to see a single notch, nor a v-shape. The 18,000 mAh phone will receive 6 GB of RAM and 128 GB of internal memory with a mediatek processor. Its design will be Samsung fordable or other, information about it can be found only after the MWC event. There will be a separate design, display and quality of the camera, as opposed to hardware specifications that are suitable for all types of customers. Some of these models are also displayed on images and in GSMarena specifications. Will it run at 18,000 mAh Mobile India? 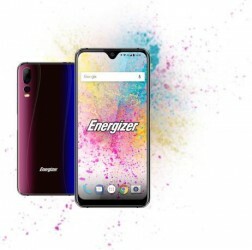 Energizer smartphones are currently available only in European countries. His new powerful smartphone will be released worldwide or just for Europe. Energizer phones in the distribution company Pocketnow Avenir Telecom made several such statements about future smartphones. By offering high-quality, high-quality phones at affordable prices, we are responding to the growing demand for smartphones at the primary and secondary levels. The release of the fourth line of elegant, innovative and inexpensive smartphones expands the catalog of products that we can offer our partners, which, in turn, will allow them to meet the needs of consumers in their regions.“Said Jean-Daniel Bernier, CEO of Avenir Telecom. The reason is that no other company has made such a phone. – The phone heats up and explodes more. The phone will heat up thanks to its powerful battery and ways to maintain it. Having found so many powerful batteries, they approach the phone correctly. After a while such companies as Xiaomi, Vivo, OnePlus will be found. For this you can remove a powerful phone.